HitchTopTent | It takes camping to a whole NEW LEVEL! Want someone else to do all the work? Or do you just want to pick up one of our campers and GO?! HitchTopTent is a full service camping & watersports outfitters. We offer for rental or purchase, Gheenoes, kayaks, paddle boards, along with tours of the waterways of Manatee County. 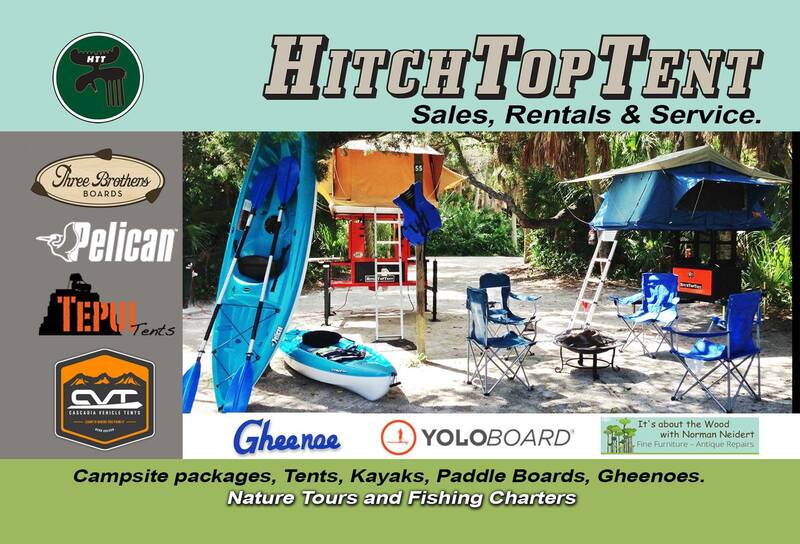 HitchTopTent Camping & Watersports Outfitter new retail store is located in Palmetto, FL close to all the inlets and waterways.